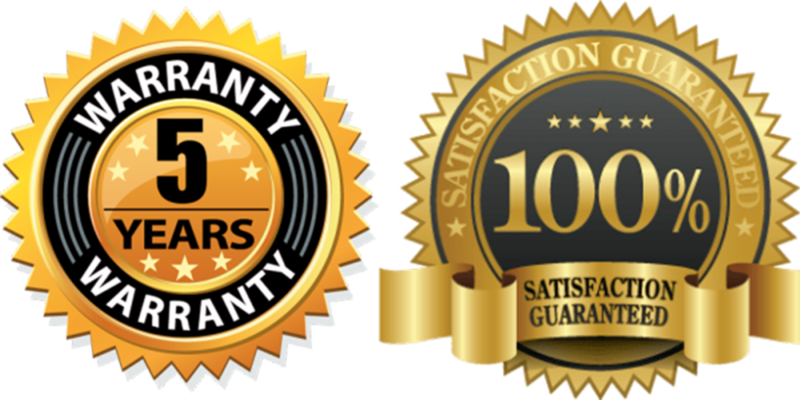 At dog Collar Tag we strive for 100% customer satisfaction, so if you aren’t satisfied contact us and let us know why! All Dog Collar Tags come with a 5 year warranty and a 5 year customer satisfaction guarantee. We know that our tags can give you the peace of mind that your pet will be returned home SAFE if they are lost. But at Dog Collar Tag we care just as much about the customer as we do about the customer’s pets. That is why we strive for every customer to be completely satisfied with their order and why we put the time and effort into making the ordering and customer experience as simple and hassle free as we can. When you contact Dog Collar Tag by phone or email a robot doesn’t pick up, every email and phone call is answered by a real person. Not just any random person either, you’ll get a response directly from our product development team who live and breathe Dog Collar Tag. That way you’ll get a solution to your problem as quickly as possible and we can implement your feedback just as fast as we hear it. Yes, you read that right, at Dog Collar Tag we love to get feedback from the customers and we use the feedback to implement changes where ever we can to deliver a better product. A better product means a better shot at achieving our company’s goal of making sure every lost pet gets home SAFE!